At JDog Junk Removal & Hauling, we haul away just about anything (with the exception of hazardous materials). Contact us and we will provide a free estimate, remove and haul away your items, tidy up afterward, and dispose of the items responsibly. We will always serve you with Respect, Integrity, and Trust. Old refrigerators are difficult to haul away. Not only that, they leak toxic chemicals that harm the environment if they’re just tossed into a landfill. 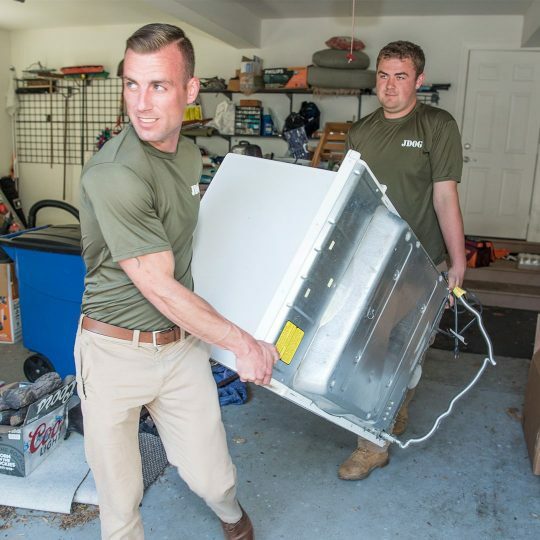 JDog Junk Removal & Hauling knows just what to do in order to safely, responsibly remove your fridge. Nothing freshens up a room like new carpeting. 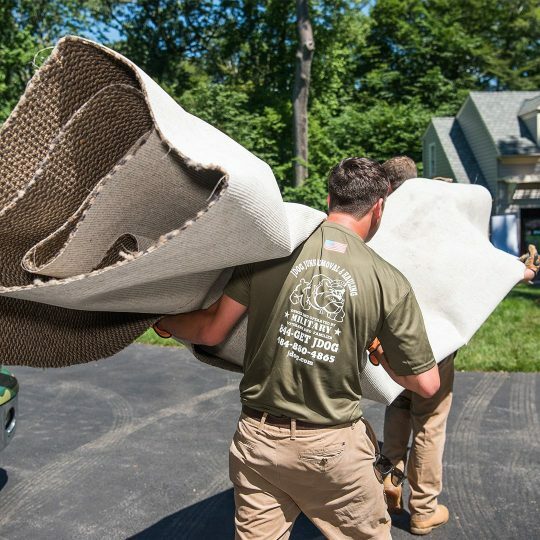 Call on JDog Junk Removal & Hauling to get rid of your old carpeting. 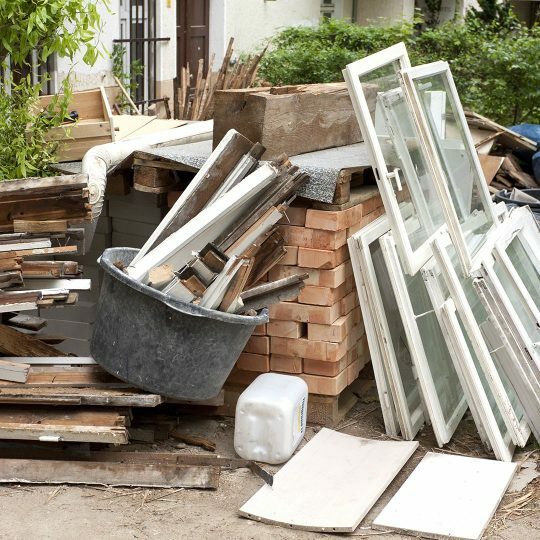 We will remove and recycle so that you can enjoy your fresh space. 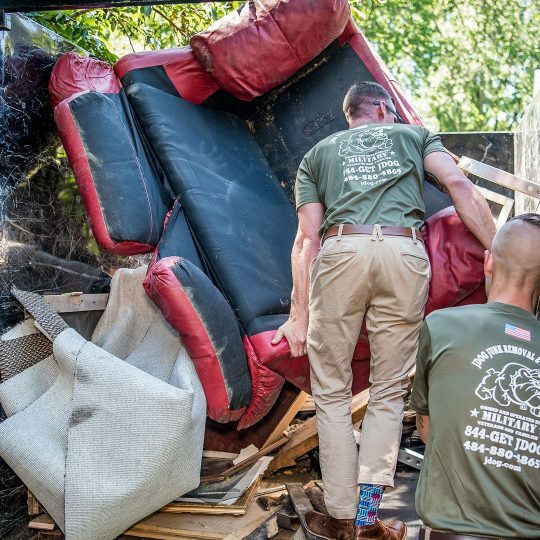 Unless you have a truck, you can’t remove a couch on your own. Because of their size, couches cannot be placed on the curb with normal trash. JDog Junk Removal & Hauling can handle removes couches and furniture of all sizes. Televisions can be heavy, unsightly. They are not easy to dispose and must be treated responsibly. They can be recycled, if you know how to do it. 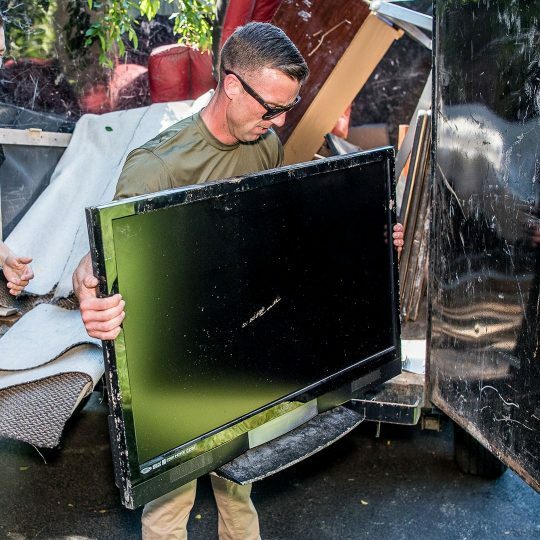 JDog Junk Removal & Hauling removes TVs of all kinds and makes sure everyone is recycled properly. 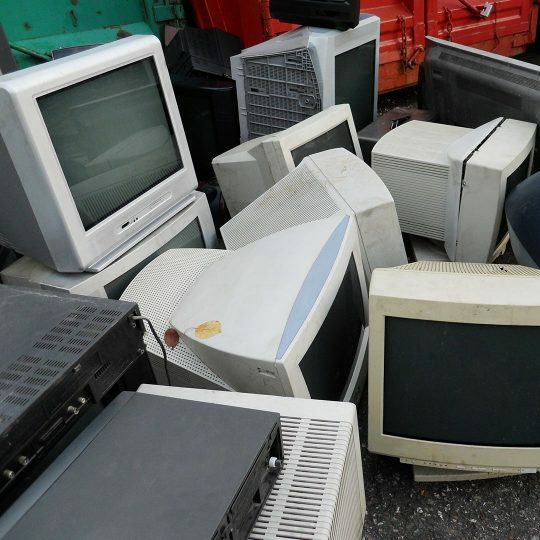 Electronic waste needs to be handled with care to protect our planet. 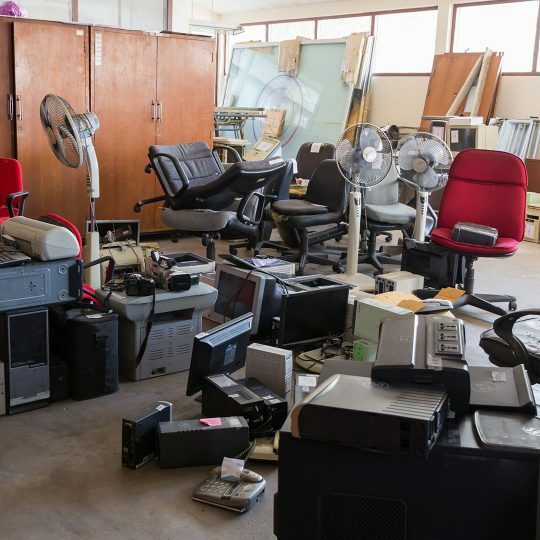 JDog Junk Removal & Hauling is highly trained in responsible disposal of e-waste to minimize its impact on the environment. Even excess organic material can cause problems. 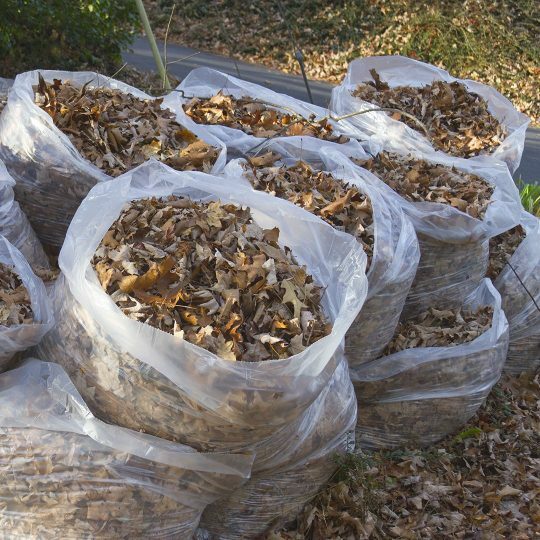 Leaves, limbs and uncollected grass can amount to costly repairs to your home and property. Our team is ready to haul it away. A lot of old items have metal in them. This metal can be recycled and should not be tossed in the trash. 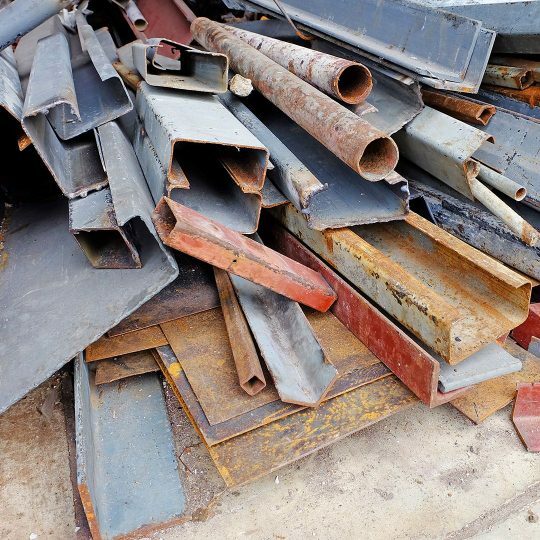 JDog Junk Removal & Hauling will ensure your scrap metal items are recycled and turned into something new. People need to dispose of tires all the time. Landfills often refuse to take them. 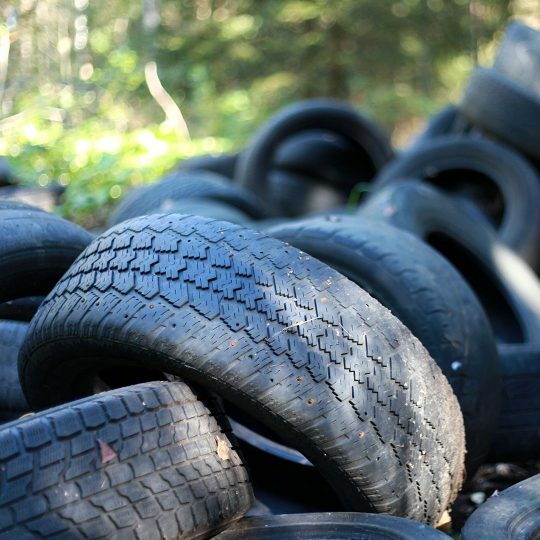 The team at JDog will not only remove your old tires, but also has the expertise to know how to recycle them.